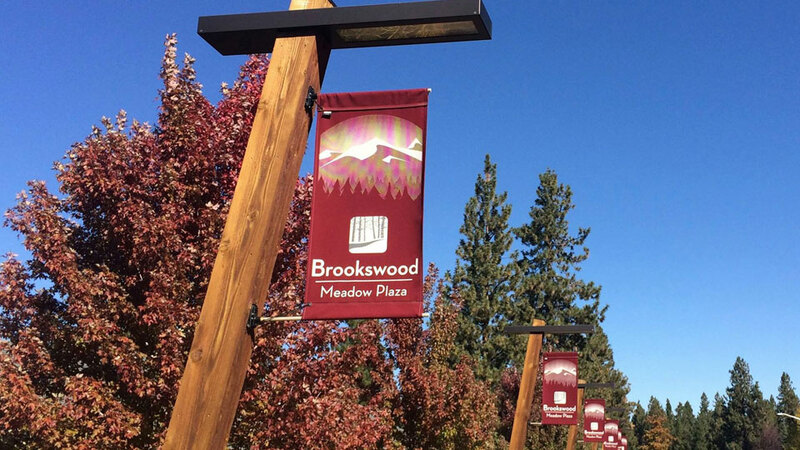 Brookswood Meadow Plaza is located off Brookswood Blvd in southwest Bend, surrounded by a number of residential neighborhoods. Anchored by C.E. Lovejoy’s Market, they feature local shopping, dining and services, providing the many nearby neighborhoods with a convenient center for business, events, and community. Between beer and wine tastings at C. E. Lovejoy’s, classes at the Dailey Method barre studio, and people popping in to pick up a pizza from Local Slice (try their delicious gluten free bread! ), it’s a busy place with a full events calendar. It really is a neighborhood community, with a preschool, a veterinarian, several dining options, a spa/salon and a gym. It offers a convenient center where people can accomplish errands, pick up essentials and enjoy a few minutes of relaxation in an area that feels pleasantly out of the way. It’s the home of popular local eatery La Rosa’s second location, Local Slice and other dining options perfect for a snack after an outing on the River Trail or an adventure south of Bend.